The fire at Pinewood Studios is a sad event not just for fans of the James Bond movies, as the set of the latest adventure Casino Royale is thought to have been badly damaged, but also to movie fans in general. For 70 years, Pinewood Studios has been one of the most cherished locations in the British film industry. 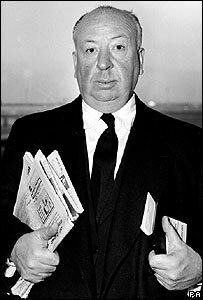 Since it was opened by the Rank Group in 1936, virtually everyone from Charlie Chaplin to Daniel Craig - the latest actor chosen to play Bond - has passed through the gates. Some of Britain's finest films have been made there. And its high standards of production have also attracted many Hollywood blockbusters, such as the action-packed Lara Croft: Tomb Raider movies starring Angelina Jolie. In terms of British film-making, Pinewood is probably best known for the Bond movies and the Carry On series. But Pinewood has also made its name producing some of British cinema's best-loved one-offs such as Genevieve. The 1952 romantic-comedy starring Kenneth More and Kay Kendall centred around the London to Brighton vintage car rally. It was a huge hit in its day and has gone down in cinema history as a perennial favourite. The influential British directors who have made films at Pinewood include David Lean and Alfred Hitchcock. Young and Innocent, a film made by the young virtually unknown Hitchcock in 1937 at Pinewood, became the talk of the studios for many years. It included a then highly original shot right the way round a dancefloor ending up on the twitching eye of the villain. Stars have also been made at Pinewood. Among them, legendary British actor Sir Michael Caine. 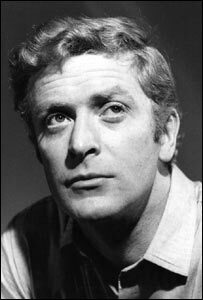 Sir Michael's 1965 spy thriller The Ipcress File launched the character of Harry Palmer and brought the actor to international attention. Another Pinewood protege was comedy actor Sir Norman Wisdom who was a huge star in the 50s and 60s. When Rank, in partnership with the Pinewood estate's owner Charles Boot, founded the studios, they invested heavily to make them the best and most advanced in the world. Pinewood boasted multiple "units" to allow several films to be made at once. This reputation has been maintained over the decades and the British Film Commission pushes Pinewood when promoting the UK as an ideal location for international film-makers. The James Bond movies have always been among the most technically difficult films made at Pinewood. The World is Not Enough, from 1999, is an example of how Pinewood has always been able to meet these ambitious demands. The huge caviar factory in the movie was constructed over a specially-extended exterior tank, which was already the largest in western Europe. This reputation has attracted many notable American blockbusters to the Buckinghamshire studio. During the making of Stanley Kubrick's 1999 Eyes Wide Shut, a large area of Pinewood was turned into a chunk of Manhattan in New York. In 2000, Rank sold Pinewood to investors led by Michael Grade, the former Channel 4 head and now the BBC chairman. And at the start of 2001, Pinewood merged with Shepperton Studios and has since begun a restructuring drive. Plans include expanding and improving its Shepperton studios in Middlesex, home of the Batman and Harry Potter film franchises. Last year Pinewood also bought Teddington Studios. Teddington hosted films starring the likes of Errol Flynn before becoming a studio for Thames TV in the 1960s. More recently it has focussed on production of TV programmes such as The Office.